Being a nonprofit in today’s financial climate is certainly a challenge. Asking folks to give for the shake of giving seems to be a harder pill to swallow for many these days. I think most want to give. At Dachshund Outreach Giving and Socialization (DOGS) we recognize that you have the choice to give to any one of the many different charities out there, and in exchange for your premium contributions we want to offer you a token of our appreciation. In return for your donation (and depending on the amount) we give you a photo postcard, an original DOGS T-shirt, a custom blanket or a one-of-a-kind book – while supplies last. We always have ambitions of collecting thousands of dollars in donations, but truthfully we often only end up amassing a few hundred at a time. We’re grateful for each dollar, value everyone who supports our vision and remain steadfast in our resolve. The DOGS T-shirts we offered earlier this year were a huge success with our fans and friends. After cost the shirts are not a big money maker for the charity, but we were able to distribute literature on IVDD and the importance of crate rest to over 22 different states in the union. We strive to raise money, but more importantly we want to raise awareness in our dachshund loving public. So the shirts are back. Learning from last time we offering pre-orders for one week (Sunday, Sept. 29 through Sunday, Oct. 6) to ensure everyone has the opportunity to get their size of choice. Like last time I will only order a limited quantity, but this is your chance to guarantee you get yours. Last Summer we debuted our smooth DOGS T-shirt and this Falls it’s the longhair’s turn. 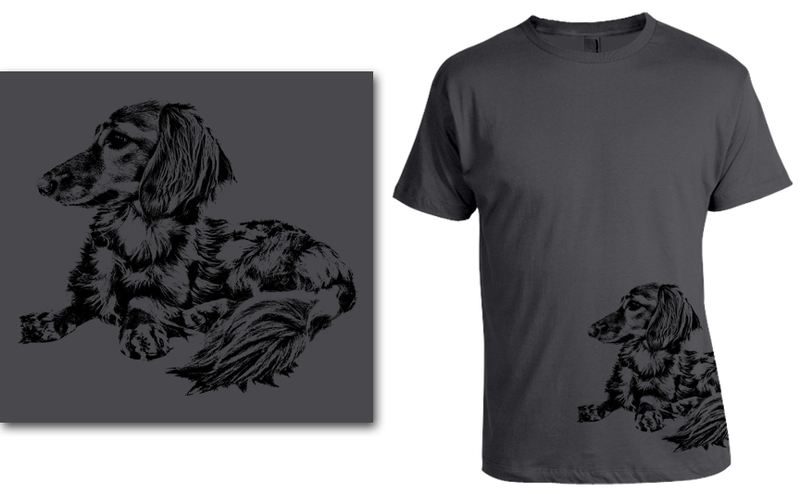 We offering two shirts for the longhair for two reasons: 1) I believe finding quality longhair dachshund apparel is rare and 2) it was super hard to decide between the six finalists that I made it easier on myself and picked two. 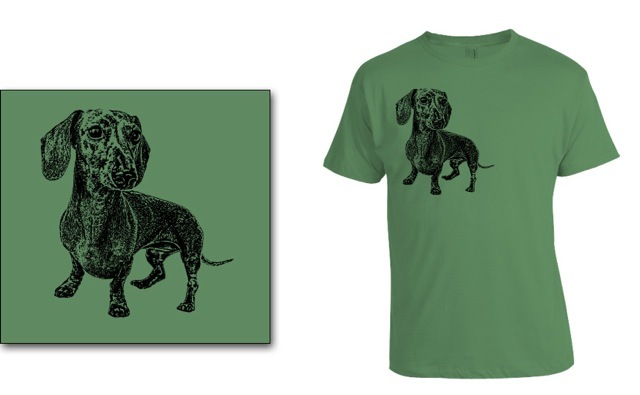 I’m also giving you a second chance to order the smooth DOGS T-shirt (in green). Additionally, because the shirts will not physically be available for distribution until November (delayed gratification) we are offering a small discount. You can pre-order your T-shirt this week for $35. Moreover, if you want to order two shirts you may do so for $50. Final note: there was lots of requests for 3XL. We didn’t offer this size last time because it cost more; however, if you want a 3XL shirt it can be yours for $4 more ($39). I will only order 3XL for those who pre-order because of the extra expenses associated. When the shirts arrive in November they will be made available to the general public for $40 (or more). Order yours today by clicking here and please be certain to note what shirt(s) and size you want. If you fail to do so during the Paypal transaction, just send me an email afterwards. Hope you like the new longhair DOGS T-shirts. We’ll be discussing the two featured dachshunds later this week. Thanks again for all the continued support. This entry was posted in DOGS and tagged #charity #fundraiser, #dachshund, #smooth dachshund, doxies, longhairdachshund. Bookmark the permalink. I think you meant Sept 29 thru Oct 6, not Sept 6th. ? 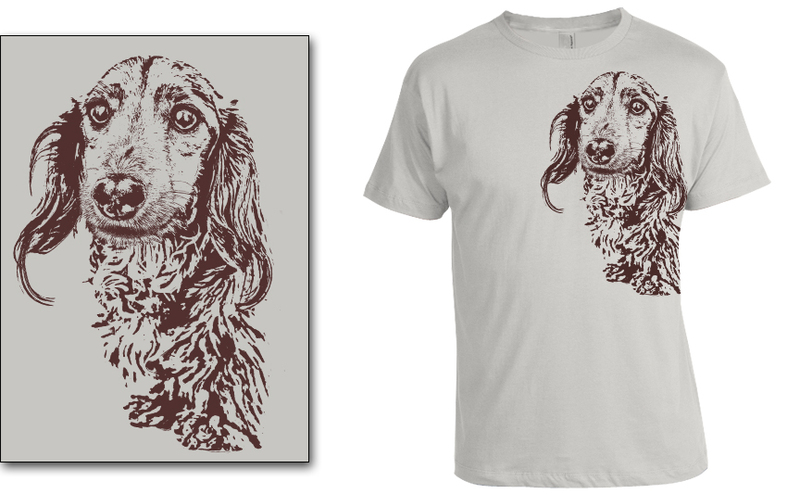 Are the smooth doxie shirts still available or are they all gone? I can not pre order the long hair t shirt it just says donation. There is no place for the size and color. Do you send the T shirts overseas? If so how much to Australia? I do and will. But I can’t guarantee 2-day delivery. The shirt will ship via UPS, but because of customs etc I can’t guarantee the timeframe. I believe it would arrive in a week’s time or less (once they arrive for distribution). Thanks for asking. How much for overseas postage for 1 or 2 T shirts? How it works at DOGS. We are a USA 501c3 charity. We don’t sell goods but in exchange for your premium donations we give you gifts – like in this campaign a T-shirt. So for your tax-deductible of $35 (or more) you can pre-order a T-shirt this week. $50 for two. If you wanted to make a donation for a greater amount – since it’s overseas – that’s appreciated but not required. We net a profit of about $5-$10 on each shirt so… they are not a huge money maker for our nonprofit but our fan base loves them and WE LOVE THEM (and YOU). Do u have any more Preston tshirt 👕 in that Gray..in a medium-size.. Would like one..